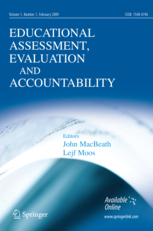 In a recent article in Educational Assessment, Evaluation and Accountability, Melanie Ehren, Herbert Altrichter, Gerry McNamara, and Joe O’Hara describe the similarities and differences in school inspections in England, the Netherlands, Sweden, Austria, Ireland and the Czech Republic. In this post, IEN Contributor Ehren briefly describes a key difference emerging in the way that these countries use data on student performance as part of the inspection process. School inspections have long been a key means of quality assurance and accountability in Europe. Inspectorates of Education assess the quality of education and hold schools accountable for a broad range of goals related to student achievement, teaching, organization and leadership in schools. Assessments of schools have traditionally included regular visits to schools by one or more inspectors who observe lessons, interview school staff, analyze school documents against a standardized inspection framework, and write up a report. In recent years, however, two different approaches to school inspections are starting to emerge: some countries, such as Austria and Germany, are continuing to carry out traditional inspections in all schools on a regular basis, while other countries, particularly those that have had traditional inspection systems for many years but have now built extensive databases with school performance data, are developing more targeted methods of school inspections. Examples are England and the Netherlands, where results from previous inspections visits, school documents (such as self-evaluations of schools), or student achievement data are used to visit schools “proportional to their need.” As a consequence, rather than visiting all schools on a regular basis, in these countries, schools that are performing poorly are inspected much more frequently than other schools. In this “proportional model,” student achievement data is becoming more and more central to the whole inspection process. Not only is student achievement data used to target inspection visits, it is also becoming a more central part of the inspection assessment itself. In the Netherlands, for example, student achievement data is used as the key indicator to assess whether or not a school is failing, and whether or not the school should be inspected more frequently. Similarly, in England, the publication of data dashboards by the Inspectorate of Education, Ofsted, emphasizes that the schools’ test and exam results are the main measure of good performance. Those pursuing these changes explain that they are motivated by a need to increase the effectiveness and efficiency of inspections, but also by a need to counterbalance high levels of school autonomy with systematic evaluations of the output of schools. Amidst these changes is a continuous discussion on the purpose and role of school inspections in the improvement of schools and how such an improvement role can effectively be combined with high stakes inspection and assessment. In England in particular, teachers have also raised serious concerns about the direction the inspections are taking and have even threatened a boycott. This entry was posted in About K-12 International Education News, Journal Articles. Bookmark the permalink.